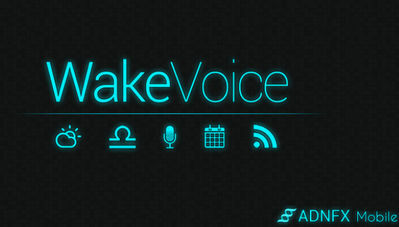 Talk to your alarm using custom commands and wake up happy with WakeVoice 6.0.12. 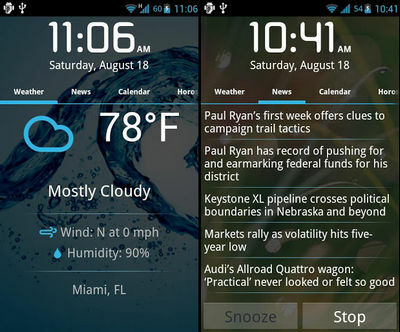 The app differs from other alarm clocks like Good Morning Pro in its speech feature, as you can stop or activate it with vocal commands. WakeVoice will speak customizable messages (fun ones), weather of the day, news of your choice (RSS) to you... giving you a brand new productive waking up experience.